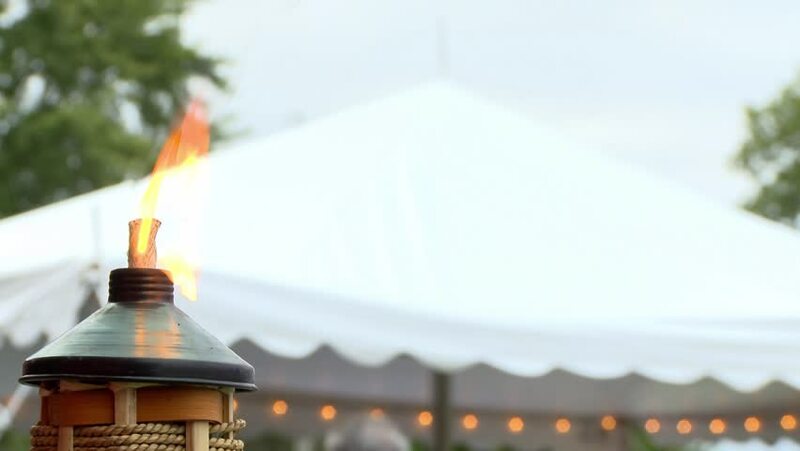 A tiki torch provides mood lighting at an outdoor event. 4k00:11A tropical tiki torch provides light at an outdoor event. 4k00:12A flaming tiki light illuminates a summer celebration. A tent canopy in the background is lined with lights and provides cover. 4k00:13Aerial View. Flying in fog, fly in mist. Aerial camera shot. Flight above the clouds towards the sun. Misty weather, view from above.